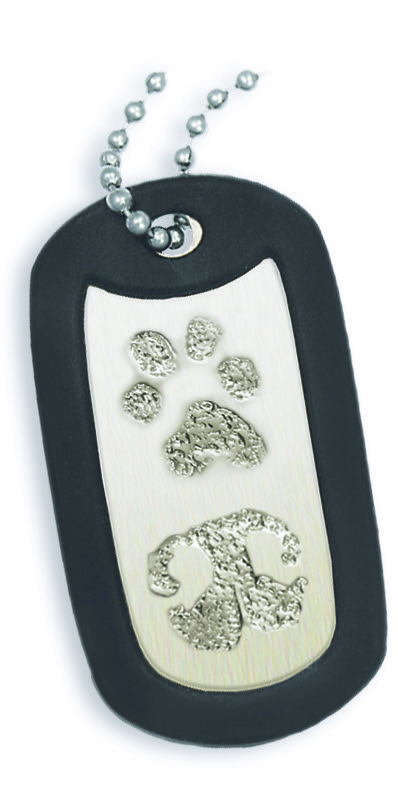 The Buddy Tag is the size of a traditional dog tag, but is multipurpose: it can be worn as a pendant - OR - carried as a key chain. It is cast in economical and highly durable white bronze-perfect for the heavy wear of keys. Every Buddy Tag comes with a 30" stainless steel ball chain, a black rubber silencer to give it a military look, and a split ring for holding your keys. 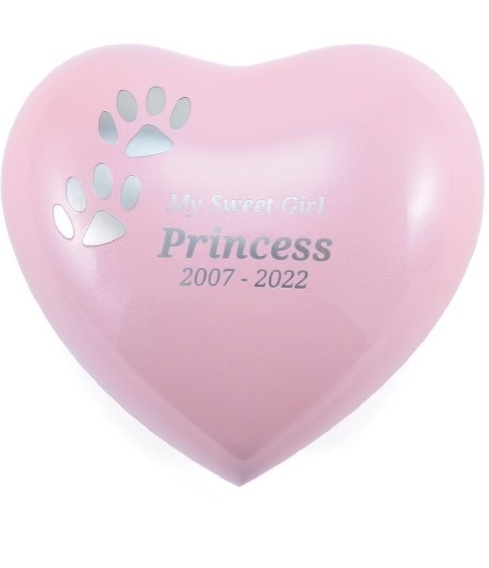 Created using your pet's paw print or nose print impression. 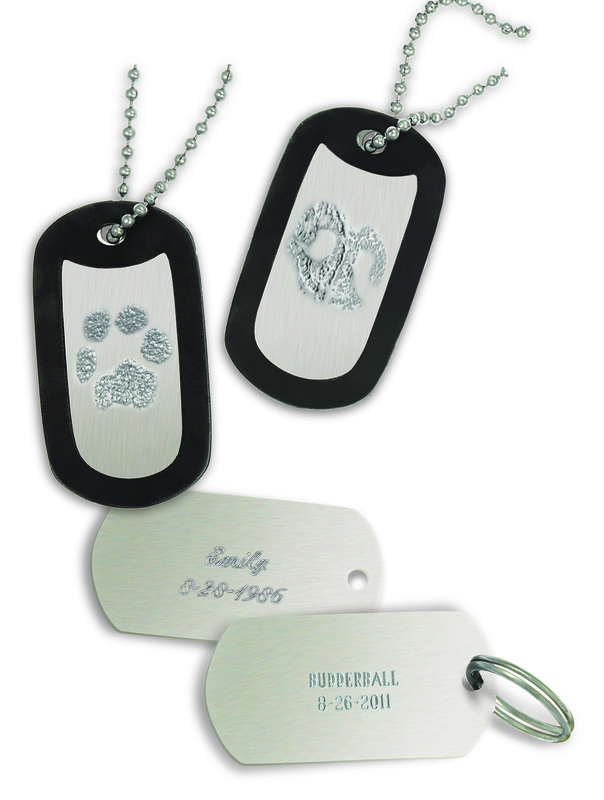 Includes up to 2 lines of engraving with up to 10 characters and spaces on each line.